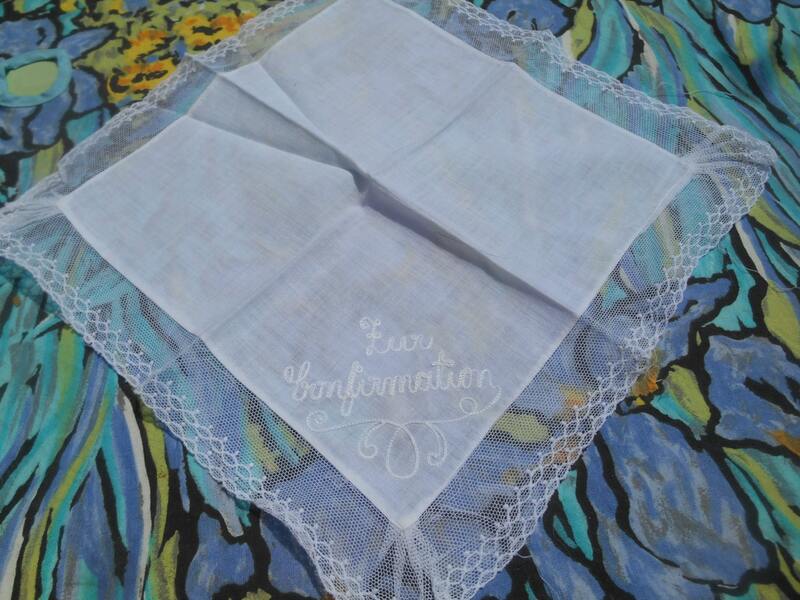 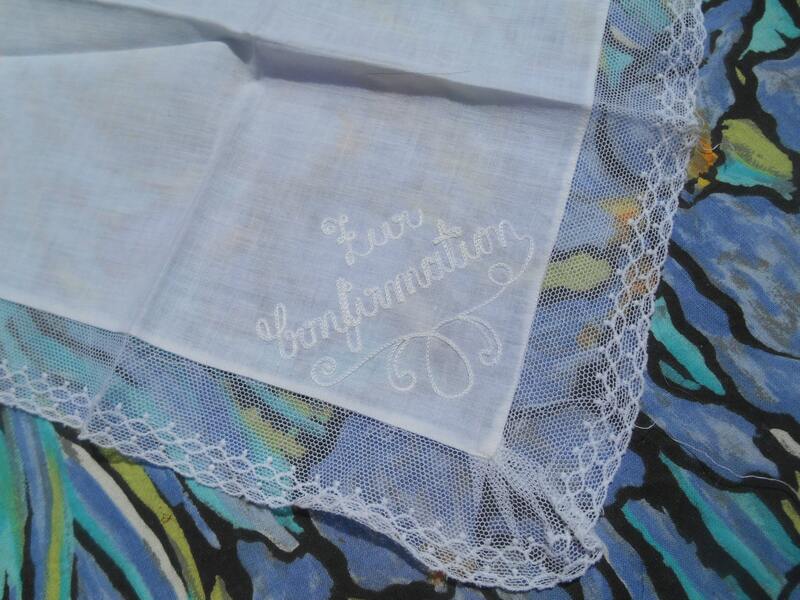 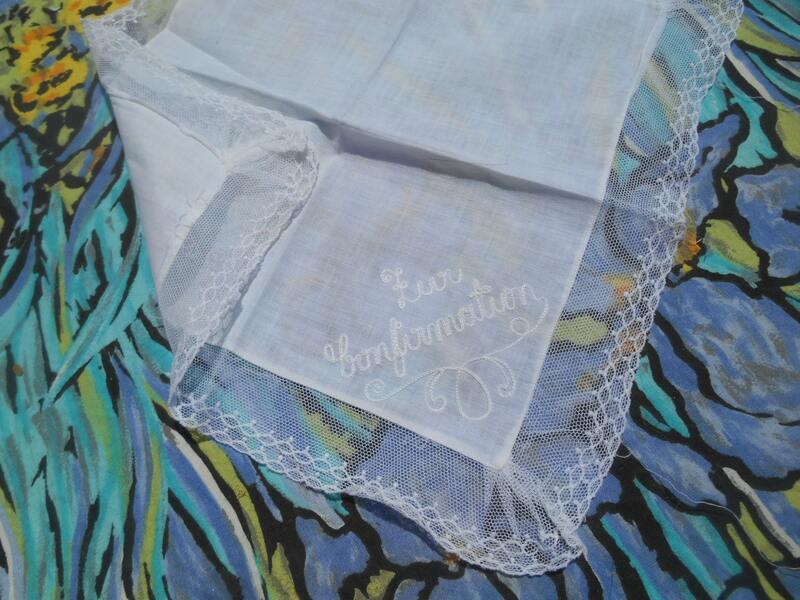 Christian Embroidered German Handkerchief .Handmade White German Cotton and Tulle. 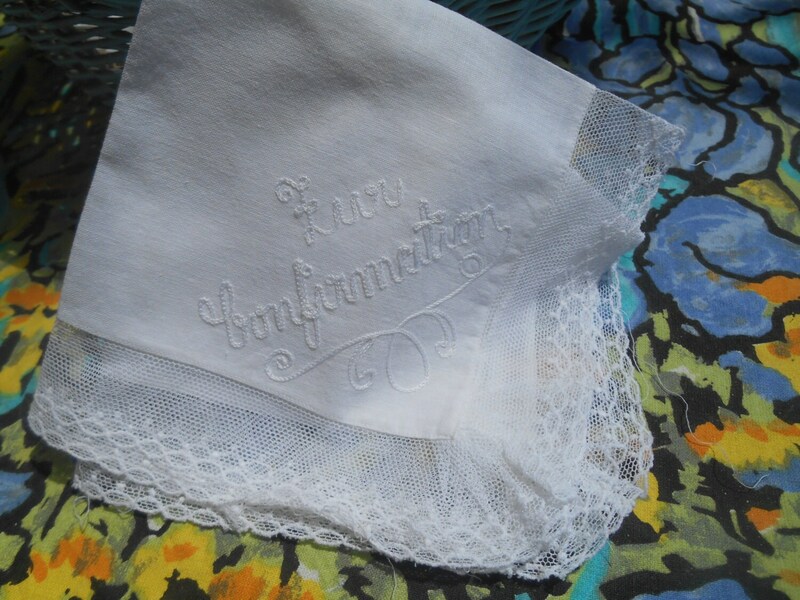 "Fur Confirmation" Embroideries. 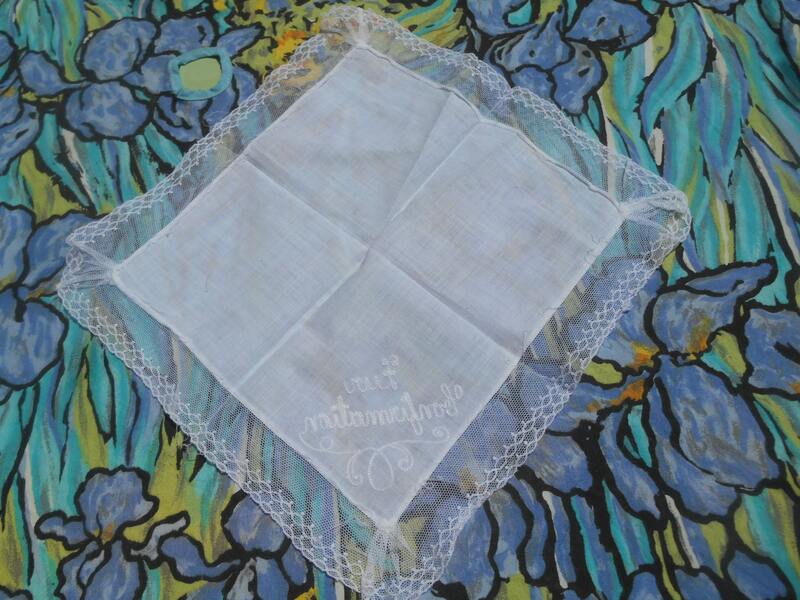 Lovely German Christian Handkerchief !